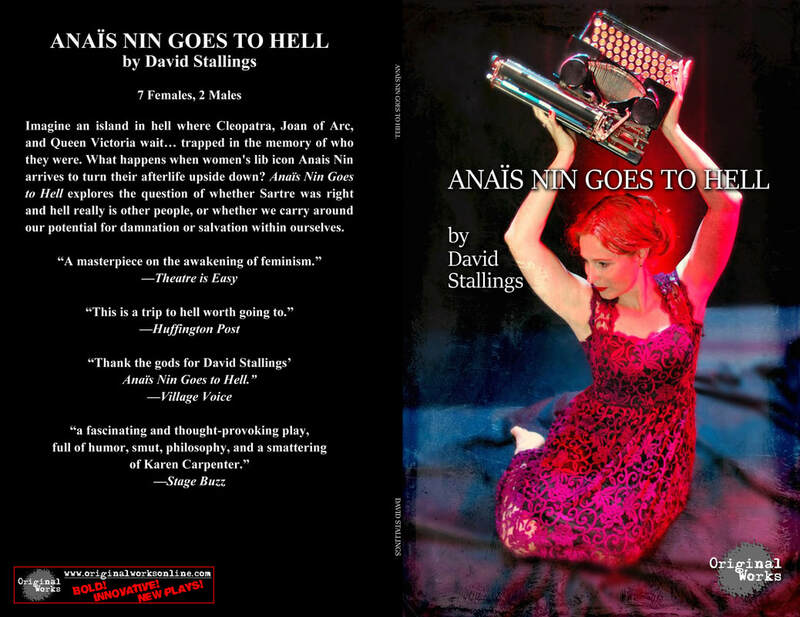 David's play, Anaïs Nin Goes to Hell is available for purchase! Read the play that continues to make audiences cheer after 10 years of productions. Click here for your copy today! If you missed The Baby Monitor... Stay tuned for details on an upcoming production! Read below some of the fantastic reviews! Different Translation's production of The Baby Monitor, directed by Antonio Miniño opened at The Theater at the 14th Street Y in December 2018 to fantastic reviews. "Holiday gifts came early to the East Village this year: we were treated to a 5-star performance of Different Translation's The Baby Monitor at The Theater at The 14th Street Y." "Although billed as a “workshop” of the play, the production is over-qualified to be called such." "David Stallings’ poignant, highly original new piece"
"If the first scene in The Baby Monitor was rife with with sitcom-style humor and casual references to politics, culture, and sexuality, the play shifts gears in the second half when one of the characters tells another “You’ll be getting a call from social services.” The Baby Monitor then becomes an emotional charged, searing adult drama– and there’s no turning back." "The stories of gay parents– and, specifically, the challenges those parents face– have occasionally been delved into via several venues of pop culture through the years: in movies, on TV, and in the theater. It is unlikely, however, that this subject matter has been explored in a more emotionally complete way as it’s explored in The Baby Monitor. Even in an era with an explosion of visibility for LGBTQ people in the media, few of those portraits have gone beyond “skin deep”. The Baby Monitoris unafraid to navigate into previously uncharted territory, particularly when it comes to tackling the issue of the deeply ingrained prejudices still faced by LGBTQ people– even as we enter 2019, even in “progressive” cities like the play’s setting of Boston, and even when it comes from people who call themselves our allies. Just as Stallings’ drama boldly taps into the feelings of its well-written, multi-faceted characters, it challenges the audience to do the same. Mirroring real life, it turns out that the conflicts between the adults in The Baby Monitor are more complicated than just “gay versus straight”. Other themes are skillfully and meaningfully woven into Stallings’ story, including issues of economic divide, ethnicity, immigration status, white male privilege, and more."